Mr. Murray, who died last month at the age of 89, dominated bridge tournaments in this country for four decades while building his own successful law practice in downtown Toronto. He and Sami Kehela won 14 North American championships during their three-decade-long partnership. The two men had different styles at the bridge table. “Sami was a chess player, and I was a poker player. It was an interesting combination,” Mr. Murray said in a videotaped interview with the American Contract Bridge League (ACBL), the governing body of bridge in North America. Mr. Kehela, who is 83 and retired from bridge, was born in Iraq and lived in London, England, where he played the game at the top level with the likes of Omar Sharif (the movie actor was a bridge star) and Terence Reese, the best British player of his day. Mr. Kehela described Mr. Murray as “first among equals” and agreed that he and his former partner had contrasting styles. “He was difficult to play with because he was sort of adventurous at the bridge table. His strategy was to make life difficult for the opponents. In fact, he used to muck them around in the bidding and so on. I, on the other hand, was the complete opposite. I tried to avoid errors, so we complemented each other,” Mr. Kehela said. Though they played together for 30 years, they seldom met outside the bridge world. They even travelled to tournaments on separate planes. One thing the two men had in common was cigars. They both smoked at the bridge table until it was forbidden. When asked if he smoked cigarettes, Mr. Murray replied, “No, it’s a filthy habit.” He smoked cigars for 60 years. Bridge, one of the world’s most popular card games, involves four players who are split into two teams, with partners seated opposite each other. If you have ever played hearts, you have an elementary understanding of the game: Bridge is like hearts on steroids. There is bridge played among friends, sometimes called kitchen bridge, and there is competitive bridge, called duplicate. That is what Mr. Murray and Mr. Kehela played at the international level representing Canada, including at the Bermuda Bowl, which is the World Series of bridge. In duplicate, each team plays the same hand as their opponents, so making an extra trick or making your opponents’ life a misery is key. Inflicting misery was Mr. Murray’s forte. On Friday, April 29, 1966, in Saint-Vincent, Italy, the Canadians, Mr. Murray and Mr. Kehela, were up against the Italians, including the brilliant player Giorgio Belladonna. Mr. Murray liked to mislead his opponents with what he called psych bids to throw off their game. On this occasion, the Italians should have made a top score but didn’t, because they failed to sniff out their Canadian opponent’s deception. “Sami Kehela leaned over to Belladonna and said, ‘What’s the matter, Giorgio, your nose not working so well today?’” Mr. Murray recounted many years later. The one-liner was a put-down, mocking the Italian for not spotting the ruse. The two teams had one of the greatest rivalries in the international bridge world. Mr. Murray came second in the Bermuda Bowl four times (three of those times while paired with Mr. Kehela). In each case the top spot was taken by the Italians, the most successful bridge team of the 20th century, known as the Italian Blue Team. The Canadian pair would chain-smoke cigars at the bridge table to annoy Mr. Belladonna. Mr. Murray juggled his bridge life with a successful career as a lawyer; his business card read Eric Murray, QC (Queen’s Counsel). Having such an active life outside bridge is unusual for top players, most of whom are professionals. Mr. Kehela, a pro, made his living writing bridge columns, teaching and conducting bridge cruises. Professional bridge players can also earn large sums of money playing in private games for high stakes. Mr. Murray was as passionate about the law as he was about bridge. One of his greatest legal victories was in a lawsuit against the birth control company Ortho Pharmaceuticals. The plaintiff was a young woman who had suffered a debilitating stroke, one of the possible side effects of the drug. “The defendant was negligent in failing to warn of the risks of oral contraceptive use,” wrote Justice R.E. 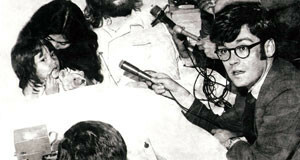 Holland of the Ontario Superior Court in April of 1984. The woman was awarded more than $1-million in damages. One of his former colleagues at his firm, Genest Murray, who asked not to be named, said Mr. Murray refused to represent insurance companies. “But he was happy to act against them. The other partners were not happy about him turning down big files.” Mr. Murray was a founding partner of Genest Murray, and his wife, Helen Murray (née Burden), also a QC, was a lawyer there as well. Ms. Murray ended her legal career as an adjudicator for the Law Society of Ontario. In one unusual case, Mr. Murray acted as an expert witness, rather than a lawyer, when the defence called upon him to share his deep knowledge of the game. 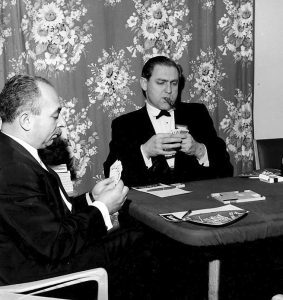 In 1966, the Toronto police raided the North York Bridge and Social Club expecting to find an illegal poker game. Instead, the inhabitants were playing bridge. The owner was charged with running a game of chance. Mr. Murray testified that bridge was a game of skill, not chance. The lower court ruled, however, that bridge was a game of chance because the cards were dealt randomly. The case went all the way to the Supreme Court, which upheld the verdict. Eric Rutherford Murray was born Aug. 31, 1928, in Hamilton, and started playing bridge in his final year of high school. At McMaster University he began to play at a competitive level, and ran the university’s bridge club. He teamed up with a man named Harry Bork, whom Mr. Murray later described as “the best player in Hamilton.” The secret of bridge success is for a weaker player to find a strong partner. Mr. Murray found Agnes Gordon, a Canadian who lived in Buffalo. “We joined up to play the National Mixed Pairs [in 1963], and we won it with the highest score that has ever been recorded in ACBL history,” Mr. Murray recalled. He represented Canada at the World Team (Bridge) Olympiad every year from 1960 to 1988, except 1984. His next great partner was Doug Drury, after whom the Drury Convention is named. (Conventions are bidding systems in bridge, and new ones are named after the person who first came up with them.) They played together for a few years, but the partnership ended when Mr. Drury moved to the United States. It was with his next partner, Mr. Kehela, that Mr. Murray built Canada’s most formidable bridge partnership. At bridge clubs across North America people play every week, hoping to win masterpoints, which are awarded for each victory, with regional and national tournaments weighted more heavily. 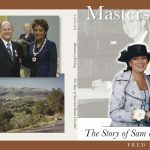 The objective for many serious amateur players is to accumulate enough points to be deemed a Life Master, an accomplishment that once required 300 masterpoints, but now requires 500. Mr. Murray was a Grand Life Master with somewhere upwards of 10,000 points. Mr. Murray was once on the board of directors of the ACBL and was inducted into its Hall of Fame, among numerous other awards. Early in his playing career, he helped organize competitive bridge in Canada. Mr. Murray died on May 19 in Barrie, Ont. He had been in a car crash several years ago and his health never fully recovered. He leaves his three sons, James, John and Fraser; and several grandchildren. His wife, Helen, predeceased him in 2008. 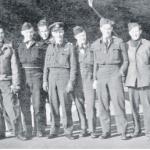 His older brother, William, died in 1944 on a mission to Hamburg with the Royal Canadian Air Force. About the Author: Fred has had a full career as a CBC TV host and reporter. 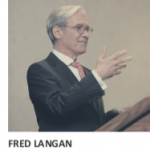 He has written countless articles for many renowned publications such as The Economist, The Globe and Mail, BusinessWeek and many more, as well as more than 2000 obituaries. He is also a successfully published author and ghostwriter. His current projects include writing and co-authoring books, as well as lending his talents as a speaker and interviewer for webcasts. More from this author. Fred Langan (416) 807-5675 Email Toronto, ON As I am travelling quite a lot, it is best to get hold of me via my cell phone, email or the contact form. Need Help on a Project ? Will You Outlive Your RRIF? 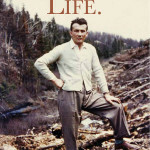 Discover Fred’s story about writing for Louis Aldrovandi “Lift to Life” biography. © 2019 Fred Langan. All rights reserved.